Mobile Learning (from its first avatar of “Mobile Friendly” format to the current “Mobile First” format). Microlearning (For Performance Support as well as for Formal Training featuring learning paths). We have addressed divergent training needs of 23+ different industry verticals across 20+ countries. Many of our large customer relationships began with a one-off project. Today, we work with several global corporate academies as a strategic partner adding values to both Formal Training and Performance Support Solutions. Over the last 17 years, we have sustained an enviable customer retention level by consistently offering values beyond the brief. The learner is at the core of the Learning and Performance Ecosystem based approach and we craft highly learner-centric design approaches. Use Creative Instructional Design to provide engaging and better user experiences. Trends (on what Learner’s want and how businesses wish to see the desired impact). Facilitate an effective application on the job. Help Learner’s gain additional skill and enhanced performance. Create a solid value for learners (skill enhancement or acquire a new skill or fox an identified gap). Built on the core of the popular ADDIE model, we have a unique development model that we call as CRAFT (Consult>Refine>Aggregate>Form>Test). Includes eBridge – our proprietary project management platform designed to meet corporate quality standards (we are a CMMI Level 3 certified organization) for communication and review. We have continuously refined our development model to meet the dynamics of a globally spread out customer base. As a result, we offer One of the most effective Total Cost of Outsourcing (TCO). Our team members are fully aligned to our mandate of customer delight. As a culture, we have fostered room for individuals to grow. We have several team members who have spent over a decade with us and, in their journey, have grown individually and helped our customer and partnership relationships grow! From the first interaction, the passion and commitment shown by the team of EI design is tremendous. We highly appreciate the innovative concepts and the top-notch e-learning course designs shared by the team. All my interactions with the team members are excellent. They are very responsive, detailed, good knowledge, and friendly. Thank you. We are thrilled with EI Design’s professionalism and commitment to our project. 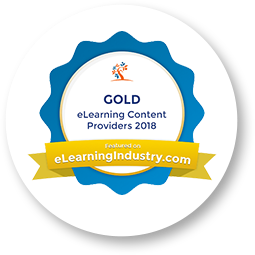 The EI team is highly skilled yet very good about working with companies new to eLearning. The people with whom we were in contact were always pleasant and courteous and keen to understand what was required. The final product was of the required quality and standard, and the cost was lower than many other contractors. Experience till date has been very professional, and I have found EI Design easy to communicate with. I appreciate their attention to detail and strong processes. I also appreciate their willingness to make things work with us, which has been shown in their discussions around the current pilot project. Excellent Quality and a vision to deliver the best for their clients. The Staffs at EI Design have always stepped up to meet all challenges and deliverables. Some of the best people of the industry, I have the pleasure of working with. EI Design’s services have been invaluable to our project. We were very behind schedule and they have gotten us back on schedule and have provided top-notch service in the process. Incredibly helpful. Everyone goes above and beyond to meet our needs. Their technical staffs are incredibly knowledgeable, and their project management is always organized and on top of things. Experience has been very positive and enriching; our project made great strides after EI joined the team. Prompt updates about everything, follow up about issues, easy to work with, and a very friendly team. Meetings are up to the agenda, no lag. Thorough understanding of the tool, requirements and in detail QA. Excellent technical expertise and excellent communication skills. Very dedicated and hardworking team. EI Design team is a team of individuals who are really passionate, committed, and quality-oriented in their work. The team is very flexible and accommodative. In this era of faster time to market and quicker delivery, many companies run in the race to finish and end up compromising on quality. However, EI Design never compromised on quality and still delivered the results on time meeting our expectations. The experience improved throughout the project’s implementation, and we were satisfied with the final product. We appreciate that the Team was prepared and on time in our meetings. Nearing the end of the process, the engagement and communication between both teams was in tune, so feedback, clarification, and advice was smooth.